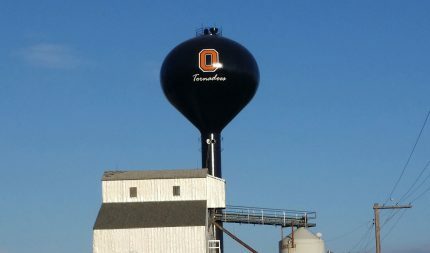 A new elevator and fertilizer plant in the City of Finley was in need of sewer and water to run its business. 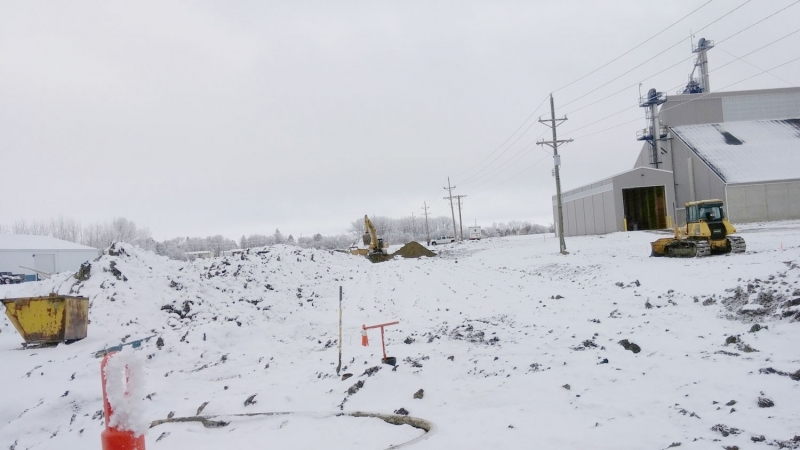 In addition, the project would need to include ditching, driveways and an asphalt road for access to nearby businesses. Aside from the required services, the City of Finley needed to line up a small bond to pay for the project. 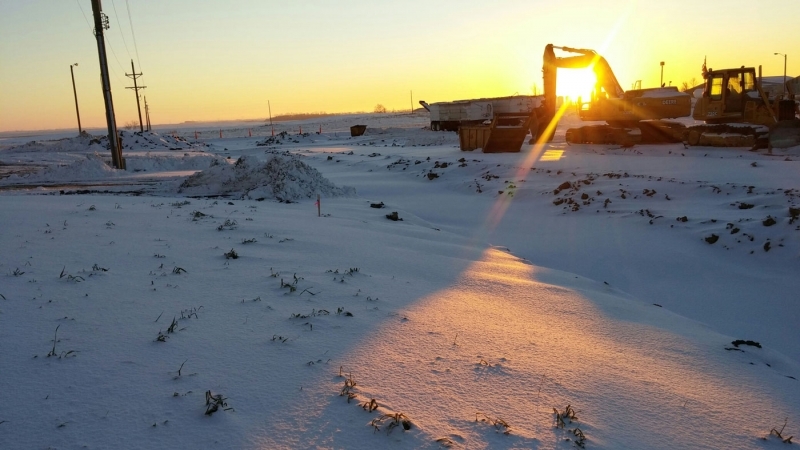 The City of Finley worked with Moore Engineering on securing a Tax Increment Financing (TIF) District to install a sewer and water extension at a reasonable cost to the landowners. Sewer and water were installed beneath the street to provide service to the building. Two sanitary sewer manholes and 495 feet of sanitary sewer main was installed. In addition, 500 feet of water main was installed with a fire hydrant to drain the system if needed. 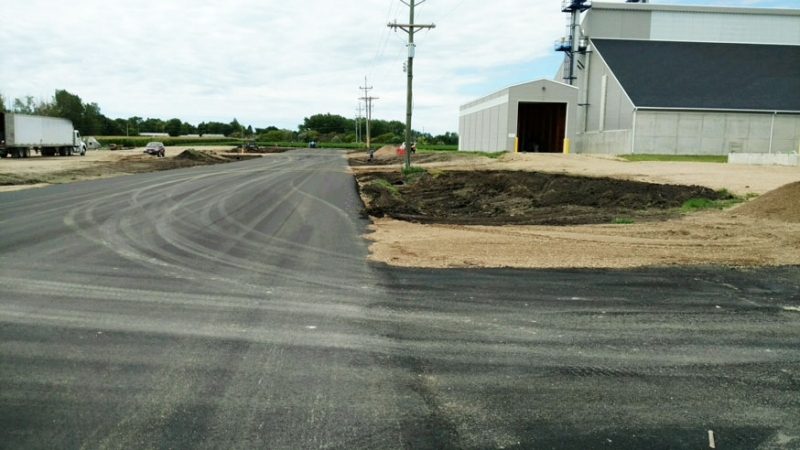 A 500-foot-long street was installed to the west of the businesses for new and existing business traffic. 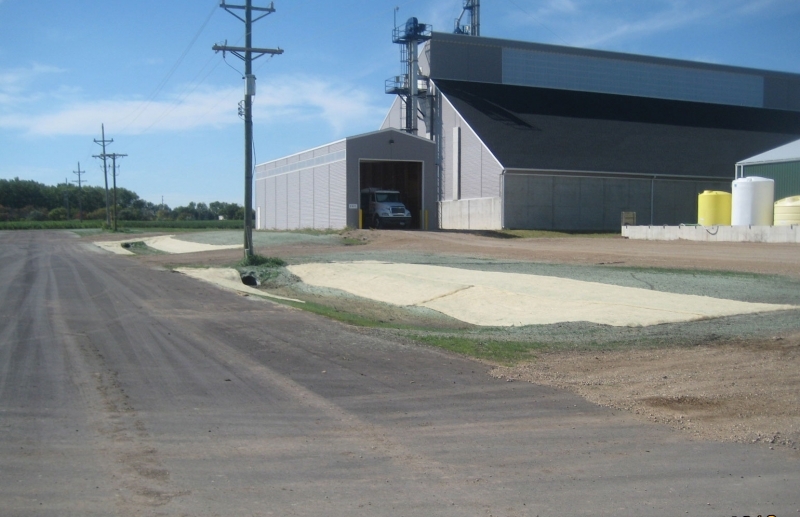 Five gravel driveways were also installed to allow for access to the businesses along the street section. The business owners are happy with the improvements the project has been provided, and they now have functioning sewer and water service to their business. 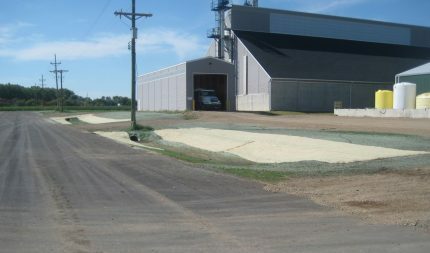 The access has been improved from a gravel parking lot to a road with ditches, so drainage off of the street has been improved as well.